Roppongi in La Jolla. 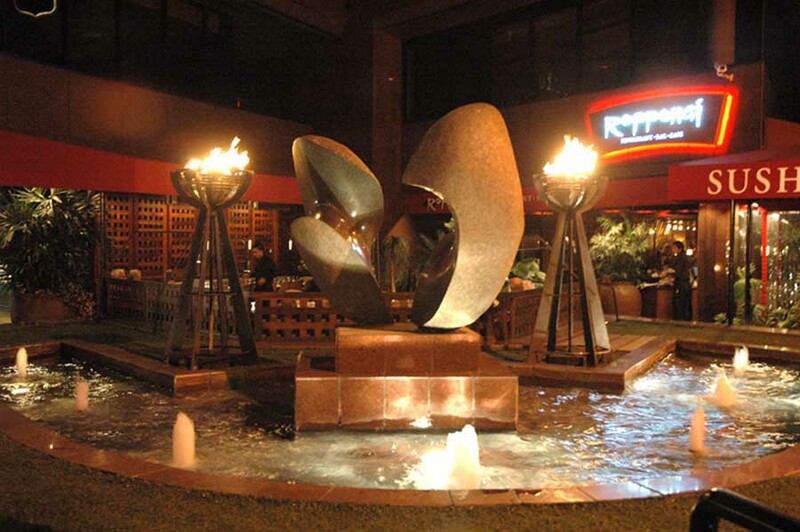 These torches were originally made for another restaurant in Rancho Santa Fe. They're about 6" tall and have stainless steel baskets that hold the lava stone. I have to admit they look much better here.